Phil and I...if we were seniors in the 50's! Can I hear HHHHOOOOTTTT????? Unfortunately, Phil and I didn't go to the same high school:( He went to Eldorado High School class of '95 in Southern California, and I went to Patterson High School class of '97 up in Northern California, but if we had known each other and graduated together...these could have been our senior portraits!!! I'm so sad we were only like 5 and 7 years old when these beauties could have been a reality! Too bad! I definitley think there would have still been a serious love connection between us! What do you think? That is Hilarious!!! Phil is such a good 80's guy! You look so cute in the 50's pic. I think you should go with that hair style now. It's HOT! Lovin' the 80's!! :) That's funny, I just discovered that site too and did Robert in '78, the year he was born. I'm gonna put it on the blog for his bday coming up. Ooh, that will be a good one! Good thinking ahead! Oh my gosh! 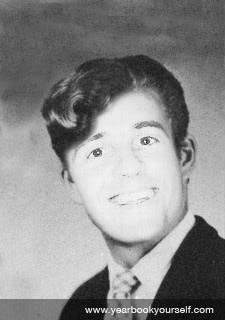 K, you look hot in the fifties pic ... Phil on the other hand looks like a total goober in both of them! I'm pretty sure that if you guys met each other back then, you would've never made babies together. that is really fun! I'll have to give it a try. 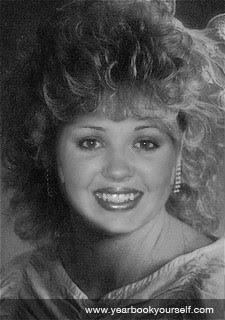 :)Love your 80's hair. 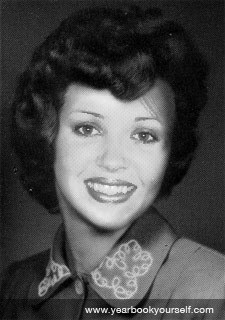 Summer you look smokin hot in the 50's!! Bring the 'do back! ;) This is very funny, I might have to try it out! Love the pics! I think Phil looks like the guy from "Girls Just Want to Have Fun" in his 80's pic :) Hey did he graduate from El Dorado in Placentia? I love love love the 50's look! How can I do that? 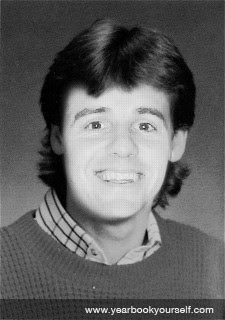 Just go to yearbookyourself.com and upload a picture! It's pretty easy and then just download it to your computer! Phil looks exactly like the older son from Mr. Belvedere. Hilarious.